Your child will love this kit! 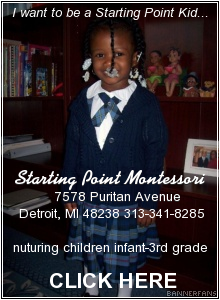 The beginning of the school year is just around the corner! Bring your child in to Lowe's and they can build this School House Photo Holder!. Bring your child to your local Lowes store this Saturday, August 6, 2011 to build this cool toy. 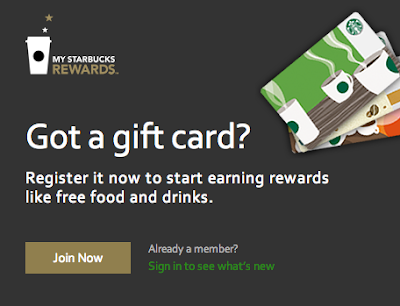 Click here sign up. The next FREE Home Depot Kids Workshop will be Saturday, August 6, 2011 from 9am to Noon at all Home Depot stores. Kids ages 5-12 will make a Pencil Box Holder to get ready for back to school. This FREE family activity, designed for children ages 5-12, instills confidence and a sense of achievement. So you have a new Kindle? Now what? Kindles are wonderful reading devicies. But they are just fancy useless pieces of hardware without the books to read on them. How do you get Kindle books without blowing your budget? Amazon lowers the price of some of their Kindle books to FREE for a limited time, but Amazon does not publicly list these FREE books so they are very hard to find. Well you don't have to go around trying to find them on your own. The website Ereader News Today (ENT) has a Facebook page where they list new FREE Kindle books that they find on a daily basis. They have over 35,000 Facebook fans so they must be doing something right. I have been following them for a while now and they list something FREE everyday. 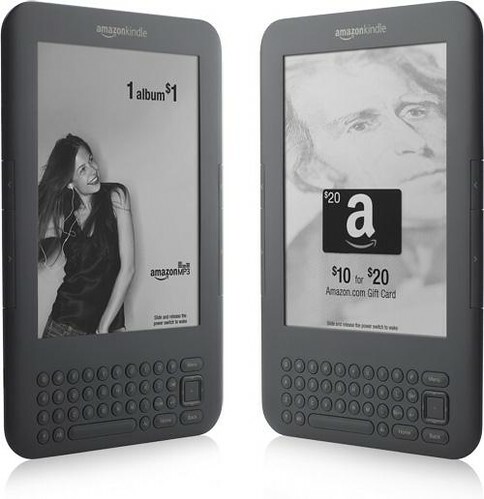 So if FREE Kindle books is what you are looking for, check out the Ereader News Today Facebook Page. MOVIES Coming to DVD on Tuesday, August 2, 2011 - "Rio" and "Soul Surfer"
The movies "Rio" and "Soul Surfer" are coming out on DVD this Tuesday, August 2, 2011. 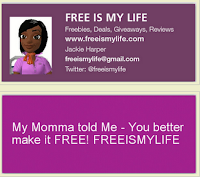 Before you buy, read the movie reviews on FREEISMYLIFE. Plot: A macaw from Minnesota, pampered and nerdy, finds himself learning to become a true bird of paradise when he finds himself in Rio de Janeiro. Plot: A young, female surfer battles back after suffering a near-fatal shark attack that results in the loss of an arm. Iconic skincare brand, NIVEA and award-winning singer, Rihanna have teamed up to get #skin2skin in 2011. NIVEA and Rihanna have joined forces as part of the 100 Years of Skincare celebration and Rihanna's international LOUD tour. Embracing NIVEA’s 100 year-long commitment to bringing loved ones closer through touch, the skincare brand is giving its fans the opportunity to see and possibly meet Rihanna. All they have to do is show how they get skin2skin with their loved ones on the new #skin2skin Photo Challenge App on the NIVEA USA Facebook page (www.facebook.com/NIVEAUSA). To enter, fans can upload their “skin2skin” photo to the #skin2skin Challenge app on Facebook. Once uploaded, fans can share their photo entry so friends can comment and “like” for a better chance of winning daily and weekly prizes. Submissions for the European Adventure close on August 8th, 2011. The voting period for the grand prize to Europe runs from August 11 - August 25, 2011. Those who need some skin2skin inspiration can check out submissions at this link. Nivea wants to make one FREEISMYLIFE reader feel #Skin2Skin special with a Nivea prize pack which includes NIVEA Beach Balls, NIVEA Touch of Smoothness body wash, NIVEA Hydra IQ Lotions, NIVEA Creme tin, NIVEA Lip Care and assorted NIVEA For Men products. HOLLA! - The contest ends on Tuesday, August 9, 2011 at 11:59am EST. - Prize will be fulfilled to winner by Nivea or their PR Company. - You can get 1 extra giveaway entry for following Nivea on Facebook. 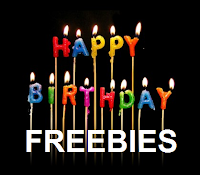 - You can get 1 extra giveaway entry for tweeting the following message on Twitter "I entered the @freeismylife giveaway to win NIVEA #skin2skin prize package http://bit.ly/pZu6BB"
Random.or has spoken! Out of 114 entries, Random.org has picked #103. Congratulations to the winner of the Nivea Product Prize Package, Susan M of Royal Oak, MI !!!! I am really getting excited as the BlogHer Conference approaches and it is now time to think about what to pack. Last year, I had no idea what to take. I learned from attending last year's conference in New York that you have to pack for sessions and parties like the Cheap Sally Dance Party that I will be attending on Friday night. 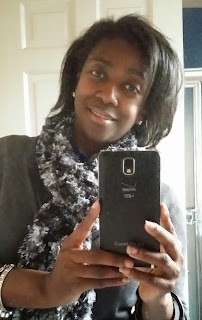 What I learned from last year's BlogHer is to just be yourself. 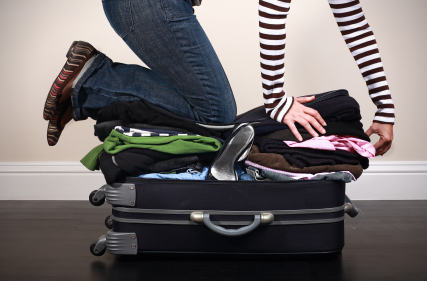 Take your favorite clothes that you would wear if you were back at home. There is no need to waste money buying clothes. Last year, I saw people dressed in everything from business suits to blue jeans with cowboy boots and cowboy hats. I really liked that everyone showed their unique personalities and were not trying to impress anyone. I will be taking my favorite clothes which are all casual. I will also be taking my favorite walking shoes and my feet will thank me for it since BlogHer involves tons of walking to events and walking on the exhibition floors. I have a new Samsonite Launch Spinner Carry-on Bag for my trip courtesy of Sears. This luggage is very light weight and will be easy to manage while traveling. The bag is a beautiful blue color that is perfect for both men and women. And this bag is currently 50% off on the Sears website - what a bargain! Disclosure: I have been provided a stipend to participate as a Cheap Sally ambassador from Collective Bias. I was also provided with complimentary Samsonite Launch Luggage courtesy of Sears. All opinions are my own. With Elliptical Session #2, your workout mix is extended to a full 60 minute experience. G Series FIT coach Amy Dixon is back and eager to push you even harder this time. As always, Motion Traxx beats will supply your motivation, boosting your energy and setting your pace. And in case you didn't know, this is a FREE download, brought to you by Gatorade. Their new line of products, called G Series FIT, is designed to fuel your body throughout a workout, from start to finish. Find it at Target, Walgreens and local retailers. You've learned about the popular Elliptical mix #1, now it's time for the next step! 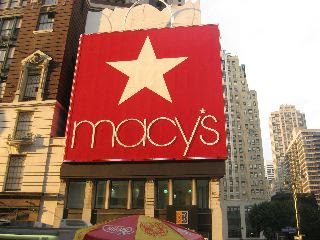 Click here for your 15% off Macys Wow Pass for Select Home Items. This pass is good thru Tuesday, August, 2, 2011. 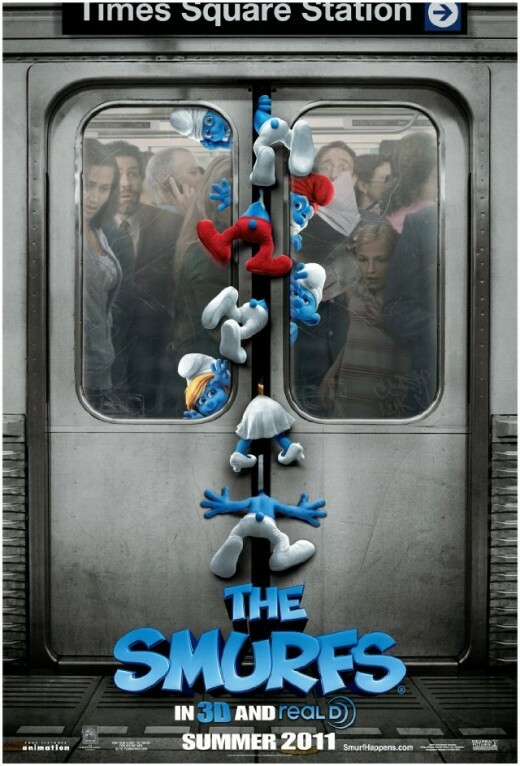 I would like the hour and fifty minutes or so of my time I spent watching The Smurfs back, but surprisingly a lot of others did not feel that way. 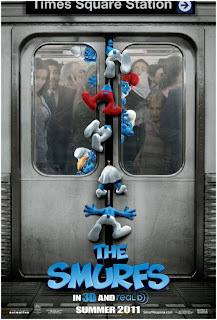 The Smurfs themselves are very cute, and admittedly I have never seen the TV show, so I wasn't going to see the film for the nostalgia, but by the end of the film I was practically sleeping in my seat because I was so bored. As one of the children behind me said to his mother, "Take me out of here, please!" 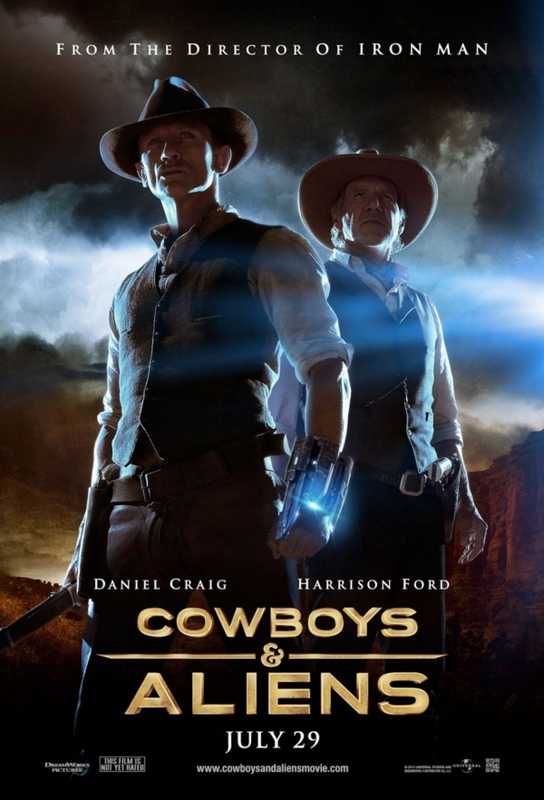 Cowboys & Aliens is receiving mixed reviews, but I liked it a lot. A few people I knew who also went to the screening complained that it was slow-paced, but I am usually the first to jump on the "This movie is tooooo slow" train, and I didn't feel that way this time. They will also say that they expected more from it; but really, with a title like Cowboys & Aliens, how much can you expect in the first place? I had wanted to see this movie for a long time based on the trailer and the A-List cast - Steve Carell, Ryan Gosling, Julianne Moore, and Emma Stone, just to name a few. The film ended up being funny but also surprisingly serious in parts; it could have been funnier, but it's definitely still worth seeing. Cal (Steve Carell, TV's "The Office") is devastated when his wife Emily (Julianne Moore, "The Kids are All Right") tells him that she wants a divorce. He spends a few days moping around at a local bar, where he eventually meets Jacob (Ryan Gosling, "Blue Valentine"), a "ladies' man" who decides to give Cal a make-over. Cal met Emily when they were in high school, and they married at 17, so Cal has never been with other women before. Jacob's make-over gives Cal the confidence he needs to go back to the bar and meet new women. At the same time, his son Robbie (Jonah Bobo, TV's "The Backyardigans") has a major crush on their babysitter, Jessica (Analeigh Tipton, "The Green Hornet"), even though he's 13 and she's 17. To complete the love circle (more like a parallelogram at this point! ), Jessica has a huge crush on Cal, and can't understand why Emily (Moore) would divorce him. Meanwhile, Jacob has met Hanna (Emma Stone, "Easy A"), who is a "gamechanger," as he tells Cal, and may even make him abandon his bachelor/"player" lifestyle. As Cal tries to figure out what - and who - he wants in his life, he realizes that maybe he's still in love with his wife after all, and he decides to try to get her back. 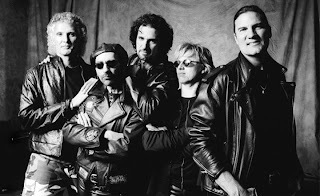 Friday at 7:30pm is the FREE Rockin' on the Riverfront Summer Concert with "Grand Funk Railroad". There is nothing like listening to FREE live music with the beautiful Detroit River as a backdrop. Don't miss the fun. Friday is FREE Movie Night in Birmingham at Booth Park where you can watch a movie under the stars. This week's movie is Megamind. No sure if this movie is any good? Read my review of Megamind before you go. You have until Friday at Noon to enter the FREEISMYLIFE giveaway to win a $20 5x7 Things Remembered SOHO Photo Frame. The frame is engravable with whatever memory/phrase you want to capture. Enter now so you don't miss this great giveaway. Friday through Saturday, is the Sample Sale at the Michigan Design Center in Troy where you'll find huge savings of 60 to 70 percent off the best names in furniture, rugs, lamps, home accessories, artwork and more! Admission is $5.00 with a portion of the proceeds from admission going to benefit WDET 101.9 FM Detroit Public Radio. You can also save $1 on admission by printing the coupon in the post. 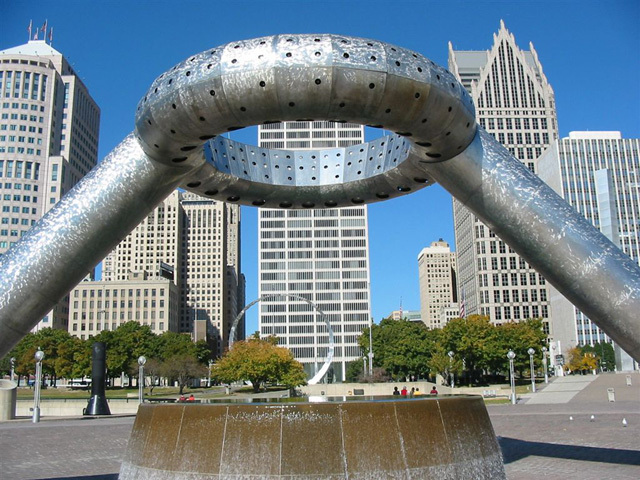 All this weekend, you can get FREE Admission to the Detroit Historical Museum to celebrate their Heritage Week. 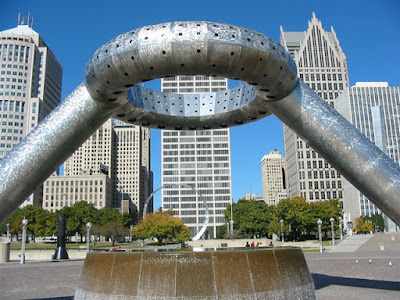 Friday you can tour the new "The Arsenal of Democracy" exhibit, Saturday you can enter the Detroit Legends Costume Contest and Sunday you can visit The Dossin Great Lakes Museum for storytelling and music. And all the fun is FREE. 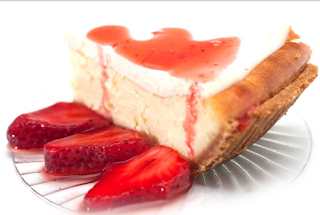 Saturday, celebrate National Cheesecake Day with FREE Cheesecake at Peteet's Famous Cheesecakes in Oak Park. Peteet's will give FREE slices for first 100 customers and 20% off any purchase this Saturday only. This weekend, shop the Borders Going out of Business Sale where everything now if 20% to 40% off the orginal price - including eReaders. Sunday is the last day to enter the Buddy's Pizza 65th Anniversary "Win FREE Pizza for a Year" Contest. Not only can you win free pizza for a year, but also one of five family memberships to The Henry Ford. This Sunday, residents in the city of New Baltimore and Romeo can get FREE Admission to the Detroit Institute of Art as part of the Museum’s Inside Out Project. Just show ID, and each resident can get up to 4 FREE tickets. SWEET! Sunday is the last day to use the Andiamo buy one, get one FREE entree coupon. Don't let July end without using your coupon. ... and remember that all active military personnel and their families get FREE Admission to the Detroit Institute of Arts (DIA) thru Labor Day. The DIA offers an array of great art and activities during the summer. The popular exhibition It’s a Zoo in Here! Prints and Drawings of Animals is on view and a new installation of puppets is also on display. Senior Major Gift Officer (Royal Oak)Identifies, cultivates, solicits and stewards major gift prospects to successfully close six- and seven-figure gifts. Works with medical/administrative leadership to identify needs and shape major gift efforts to fund those needs. Participates as a member of the Major Gift Team to meet the Beaumont Foundation’s fundraising goals. Develops solicitation plans for prospects and reports contacts and progress on the plans as required. Ensures that all gifts from donors are accurately and promptly acknowledged and that timely stewardship reports are generated. Assists in recruiting, training and activating volunteer fundraising leadership as needed. Develops agendas, materials and minutes for related meetings, and provides support for volunteers and medical/hospital leadership who are involved in solicitations. Assists in identifying planned giving prospects and closing planned gifts in collaboration with Associate Vice President of Planned Giving. Participates in developing campaign strategies and plans. Participates in the prospect management process by providing timely information on prospects, solicitation plans and contacts. Meets established goals for funds raised, donor visits and proposals made. 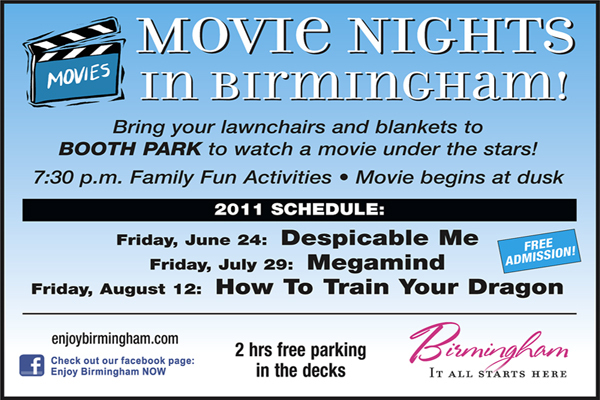 TIME FOR JULY MOVIE NIGHT IN BIRMINGHAM, MI! Booth Park, Friday Night. 7/29 @ 7:30PM, Movie begins at dusk. Feature presentation = MEGAMIND! The animated story is about a super-villain named Megamind (Will Ferrell) who kills his good-guy nemesis, Metro Man (Brad Pitt) and becomes bored since there is no one left to fight. He creates a new foe, Titan, who, instead of using his powers for good, sets out to destroy the world, positioning Megamind to save the day for the first time in his life. This event is FREE and open to the public with 2 FREE hours of partking in the decks. Hosted by The Bham PSD and the Birmingham Bloomfield Community Coalition. Everything is now 20% to 40% off the original prices with eReaders just reduced 20%. Have you heard? The Savings are coming! The Savings are coming! The Cart Buster Savings Event is back at the Kroger Co. Family of Stores, beginning July 31st with storewide savings in almost every department! During the savings event, summer deals are just getting started. Browse the aisles and load up your cart with everyday items from brands you already love. From July 31st through August 17th save on tons of brands across more than 100 categories from General Mills, PepsiCo, Unilever, Heinz, Mars, Wrigley and Kimberly Clark. Look for big savings storewide at the Kroger Family of Stores, which includes Kroger, Ralphs, King Scoopers, City Market, Dillons, Smith´s, Fry's, QFC, Baker's, Owen's, Jay C Food Stores, Hilander, Gerbes, Food4Less, Fred Meyer, Pay Less Supermarkets and Scott´s food &amp; Pharmacy. Don´t let the savings stop there! Make sure to follow the Cartbuster "Deal of the Day" beginning August 3rd and running through August 16th. * Download exclusive offers, on more of your favorite brands, directly to your shopper card, by visiting www.cartbuster.com, beginning Wednesday, August 3rd. Remember, www.cartbuster.com is your link to all of the details, savings and the special "Deal of the Day" offers for the Cart Buster Savings Event, exclusively at the Kroger Co. Family of Stores. The Cart Buster Savings event beginning July 31st. "Deal of the Day" offers begin August 3rd. NOTE: Please be sure to check your local Kroger Co. Family of Stores for participating dates and deals. The Deal of the Day promotion is not valid at: Fred Meyer or Food 4 Less. Be sure to check the Kroger Website and follow Kroger on Facebook and Twitter. One FREEISMYLIFE Reader will win a $25 Kroger Gift Card so you can shop the Kroger Cart Buster Savings Event on the FREE! - The contest ends on Monday, August 8 2011 at 11:59am EST. - Prize will be fulfilled to winner by MyBlogSpark. - You can get 1 extra giveaway entry for tweeting the following message on Twitter "I entered the @freeismylife giveaway to win a $25 @KrogerCo Giftcard from #MyBlogSpark http://bit.ly/r5mH5m"
Disclosure: Disclosure: The information for this post and the $25 Kroger gift card has been provided by Kroger and General Mills through MyBlogSpark. I was also provided with a Kroger gift card as a thank you for my time to participate in this blogging campaign. Random.org has spoken! Out of 236 entries, Random.org has been #60. 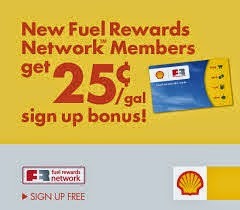 Congratulations to the winner of the $25 Kroger Gift Card - Rick M. of Sterling Heights, MI !!! !